Bride, the most prestigious bridal event in the UAE, has announced dates for its 2013 shows in Abu Dhabi and Dubai, and revealed it will be back bigger and better than ever. Running from the 30th January 2nd February in Abu Dhabi and 10th 13th April in Dubai, Bride has all the latest bridal and fashion trends under one roof, making it the must-visit destination for all brides-to-be, whether they are looking for that special dress, memorable venues, idyllic honeymoons, or inspired ideas to put the finishing touches to their big day. Bride will be showcasing the regions top names in the world of bridal fashion and lifestyle. With dedicated shopping zones and exclusive catwalk shows, the Fashion Avenue and VIP Lounge, Bride is the perfect place to find exquisite bridal and evening couture collections from leading names in the regional and international bridal scene. Guests can also marvel over the stunning array of jewels and diamonds on offer at the new Jewellery Pavilion, where some of the UAE most in-demand jewellers will be displaying their inspirational collections. With literally hundreds of exhibitors, brides will have the opportunity to meet with their would-be wedding planners, florists and a whole host of other wedding services, ensuring that their special day is everything they imagined and more. Bride Abu Dhabi Bride Abu Dhabi, the largest bridal and fashion event in the capital, is taking place from 30th January 2nd February 2013 at the Abu Dhabi National Exhibition Centre (ADNEC). Set to capture the heart of brides in the region, Bride Abu Dhabi will be indulging brides and their wedding parties with a full range of bridal products. There will also be plenty of glitz and glamour courtesy of a wide range of high-end jewellers, as well as couture lingerie and sleepwear specialist La Maison De Reve, who will be offering brides-to-be top-of-the line haute couture lingerie as part of their bridal display. Hot on the heels of its success in Paris, the Beyond Beauty brand will be running its first ever Arabia event alongside Bride Abu Dhabi. Offering a beauty and spa experience never seen before in the UAE, including live make-up demonstrations, tips on skincare, hair care and nail care, and an exciting range of interactive forums and spa zone treatments, Beyond Beauty Arabia really is the ultimate day out for ladies across the UAE. A wedding is always a momentous occasion for every couple, and to nurture inspiration in the heart of thousands of couples who marry every year is our main desire at Bride, said Daphne Cota, Exhibition Director for Bride. Bride is growing year after year, and with the 2013 event approaching, we are excited to introduce the latest in fashion and bridal trends to wedding parties and guests across the UAE. With a unique range of dedicated shopping zones, fashion catwalks and beauty tutorials, we are proud to continue our support for brides-to-be as they plan for one of the biggest days in their lives, she added. Set of 24 Different Classic, Bright, Pearl and Glitter Colours. 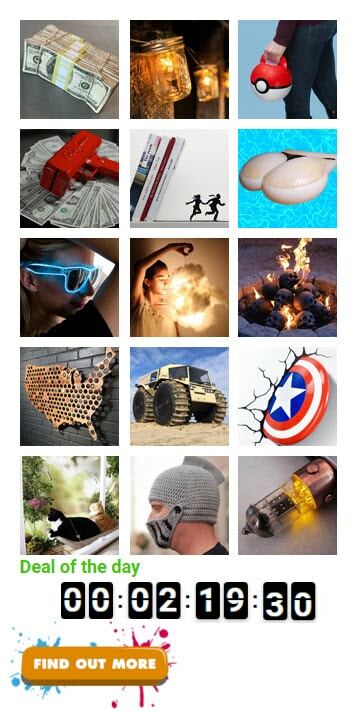 Collection inspired by latest fashion trends. А Designer Luxury Box - High Quality Cardboard, Professional Full-Colour Print, Sealed Box. High Quality Nail Polish Made in Luxembourg and Packed in the E.U. One bottle is 5 ml. Safety Certificated Product - use it with confidence that our nail polish meets all UK and EU regulations, health and safety standards. We don't use animals to test our products. ★Net Wt:10ml, Beauty Color, Beauty Mood! ★Excellent quality and brand new products, You can change your nails at any time! Suitable for professional use or home use. ★★3, in order to ensure the effect, it is recommended to use a layer of base oil before the nail, so that the nail surface flat. ★★4, when you can use the first light brush layer, to be dry and then brush a layer, it is recommended brush 2-3 layer. ★5, after the surface can be painted bright oil, can be maintained for a longer time, and not easy to scratch. 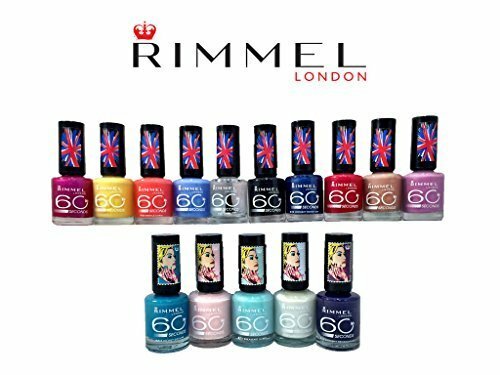 Rimmel 60 second nail polish Mix of Super Shine, Rita Ora 15 Different shades. This product will not come in gift packing. 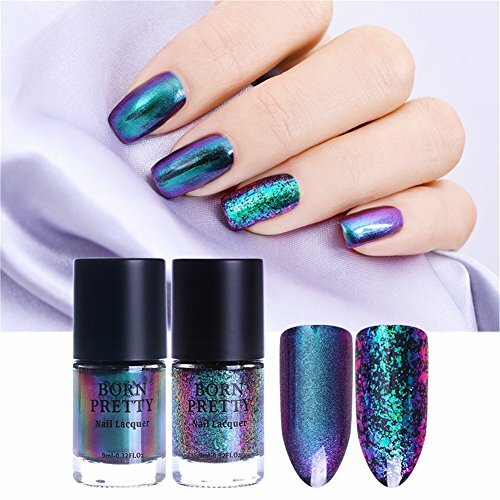 BORN PRETTY Born Pretty is specialized in nail art and our products are for born pretty you. MAGIC EFFECT Change your nail into a magic chameleon mirror chrome effect of vivid colors. 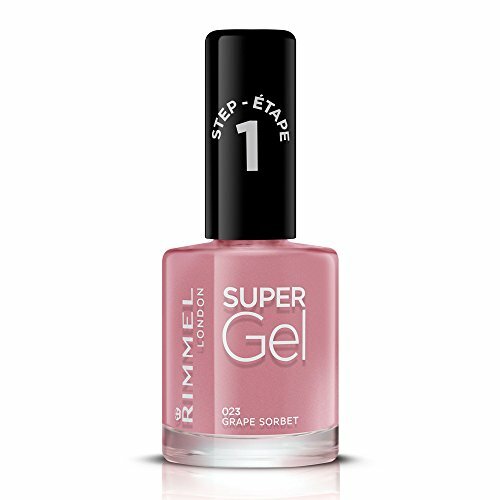 HIGHIER PURITY The nail polish is designed and made of high quality material by Born Pretty,with higher purity and gives vivid colors. BE AWARE Black base color is needed but not included in the package, for the true effect as pictures on website. This site is enrolled in several affiliate programs including amazon.com, ebay.com, aliexpress.com, DJI.com etc. This means that from time to time, affiliate commissions are earned after a reader purchases a product that we recommend. For example, if after clicking a link on this website (in a blog area, store area etc..) that takes the reader to another website offering a product or service for sale, they then purchase that product or service, we may receive a commission. We refers to the owner of sharing-wedding.com. There are also many occasions where we do not make a commission or when positive comments about a product or service are made with absolutely no intention or ability to earn affiliate commissions. Some other affiliate programs and affiliations include, but are not limited to Google Analytics, amazon.com, ebay.com, aliexpress.com, DJI.com etc. We generally only recommend products in articles that we use, have used or have thoroughly researched. © 2017 Sharing Wedding. All rights reserved.